Over 300 years ago The French explorer, Pierre Le Moyne de'Iberville named Dauphin Island "Masscre Island" because of the huge pile of human skeletons that he discovered. Which later turned out to be a Indian burial ground that was unearthed from a storm. There was a small attack later on Isle Dauphine. The Pirates tied everyone up and robbed their warehouses. 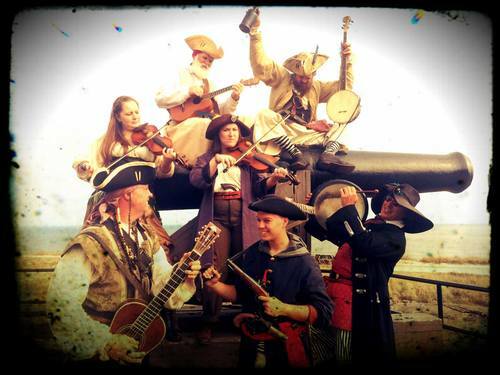 Come and meet the Pirates that stormed Mobile Bay and watch as they defend the Fort from Spanish and British Galleons. There will be treasure hunts on both days.